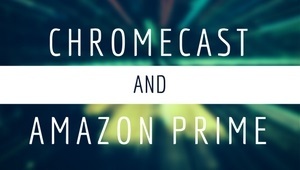 There has been a lot of queries if you can stream / cast Amazon Prime videos to your TV using Chromecast. The answer is no and yes. Let me explain. 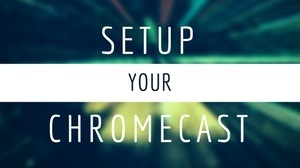 No – as in there is no official app or extension similar to Chrome, Netflix, or Youtube where you can directly cast the video to your TV using Chromecast. Yes, as in you can load Amazon Prime Video Player from your Google Chrome browser from your PC. This will not work through a mobile Chrome browser on a phone or a tablet. Play the video as you normally would, then click the blue ‘Cast’ icon on the upper right of your screen. Once the browser is casted onto your TV, click ‘full screen’. Enjoy your Amazon Video on your TV! This entry was posted in News and tagged chromecast amazon prime on July 30, 2013 by CC Administrator. Looks like Amazon has already made moves to block it. It will cast the website to the TV but the videos only play in the browser on my pc. Doesn’t work for me. Looks like a silver light thing. Maybe uninstall silverlight? Yep, Silverlight thing. Need to disable or uninstall Silverlight and switch to Flash. May want to update your original post to reflect this. 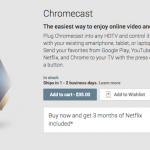 microsoft silverlight plugin is what is preventing the amazon prime videos from being displayed on the chromecast. disable the plugin (http://www.howtogeek.com/howto/15182/how-to-disable-individual-plug-ins-in-google-chrome/) in chrome, then watch the amazon prime video using the adobe flash plugin. Success! I should’ve realized chris posted this *slaps forehead*. Thanks Chris! If you can Cast a tab and the page shows on your TV but the video and/or audio isn’t playing, this is typically caused by the use of native plug-ins, such as Silverlight or Quicktime, which are not supported. 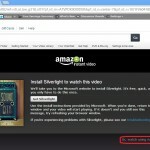 It isn’t obvious how to disable Silverlight in Chrome. FWIW, I found that if I disabled Silverlight in IE10 (which is fairly easy), started an Amazon video, chose Flash over Silverlight, stopped the video, and re-enabled Silverlight, then Amazon remembered that choice when I later started that video in Chrome. I guess I should have tried a different video to ensure that choice applied to me as a user, and not to that particular video. BTW, I have Amazon Prime. I suppose that could affect this as well. I searched Amazon high and low in My Account, but could not find a way to explicitly make that choice of extension. But it appeared that Flash support was needed for Macs. Please see my new post. I can confirm it is still working. It didn’t work for me either. I never had the silverlight, only flash. I can cast the Chrome tab to my TV, but the second I go to fullscreen video (or pop out for that matter) the laptop still runs the video, but the TV is goes black. I had the same issue with Hulu, so may be a technical issue with the way flash works and not Amazon actively blocking Chromecast. Anyway, I was able to get around the problem by zooming into the video inside my browser tab (use ctrl+ or ctrl-) until the video took up all of the screen. It comes out a bit grainy on the laptop but on the TV it seems fine, watchable. I still wish there was a native Amazon Video app for the Chromecast. They are forcing me to buy movies on Google Play instead. I don’t mind, but I already own a bunch of content on Amazon. can you do this from your Android phone and chrome? what does it have to be from a wifi laptop and Chrome? For the time being, Chrome on Android or iOS doesn’t support Chromecast. Only Chrome over Windows / Mac.